Even the dirtiest, harshest jobs won't destroy the will of these tough gloves. Single dipped PVC coated gloves provide basic protection in light chemical applications. Glove lengths from knit wrist to 18" provide different levels of protection. 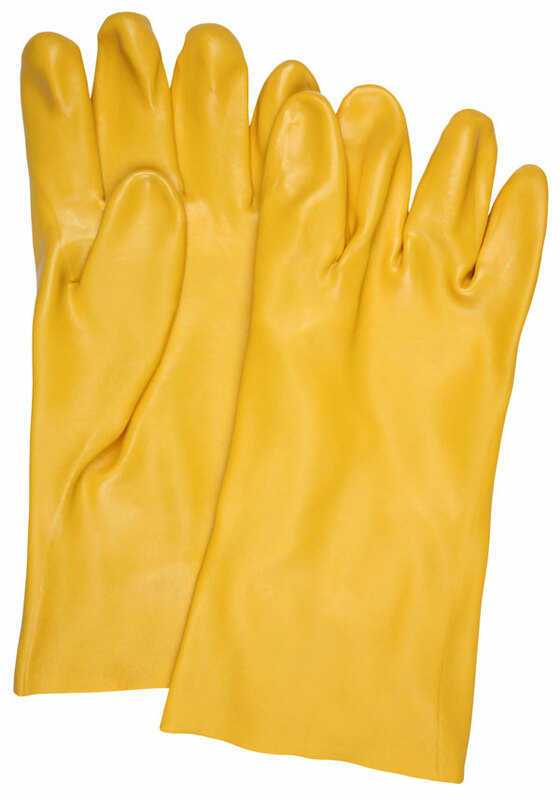 The 6612 is an industry standard yellow glove that is single dipped with smooth finish, has an interlock lining, and is 12" in length.